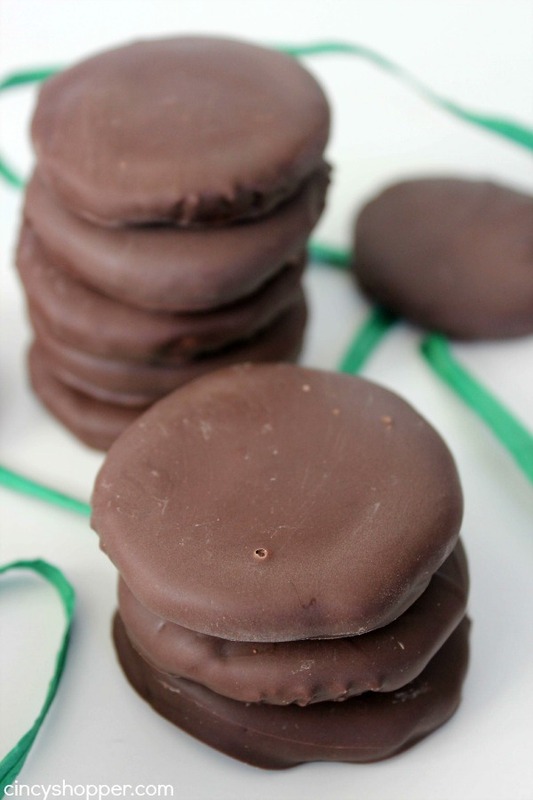 Are you a fan of Girl Scout Thin Mint Cookies? 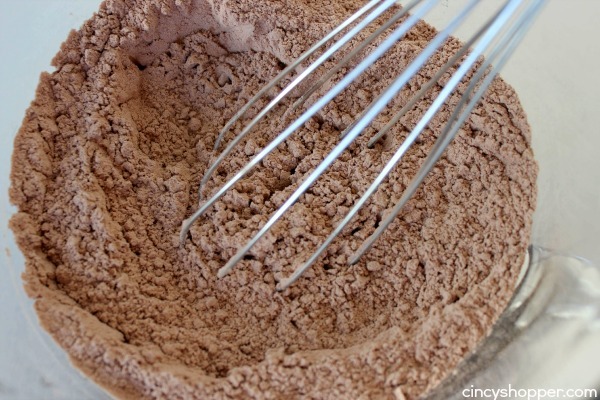 If so this recipe is going to be your life saver year round. 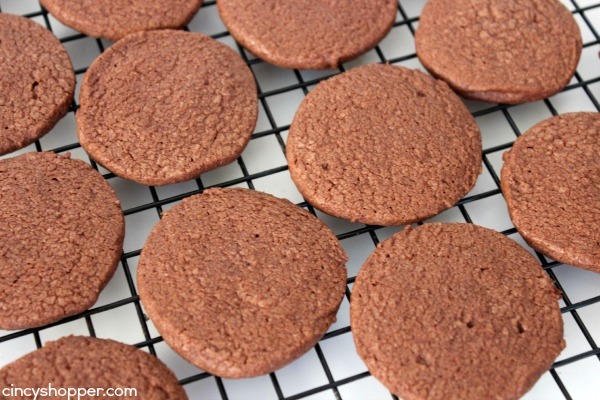 Thin Mint Cookies were always one of my favorite cookies. When I was a Girl Scout, I saved to purchase myself a whole box of Thin Mints. Back in those days, the boxes were much larger, ha ha! Plus they did not cost quite as much. We were quite successful at making CopyCat Girl Scout Peanut Butter Tagalong Cookies and also Copycat Girl Scout Samoa Cookies so Thin Mint Cookie Copycats were a must. 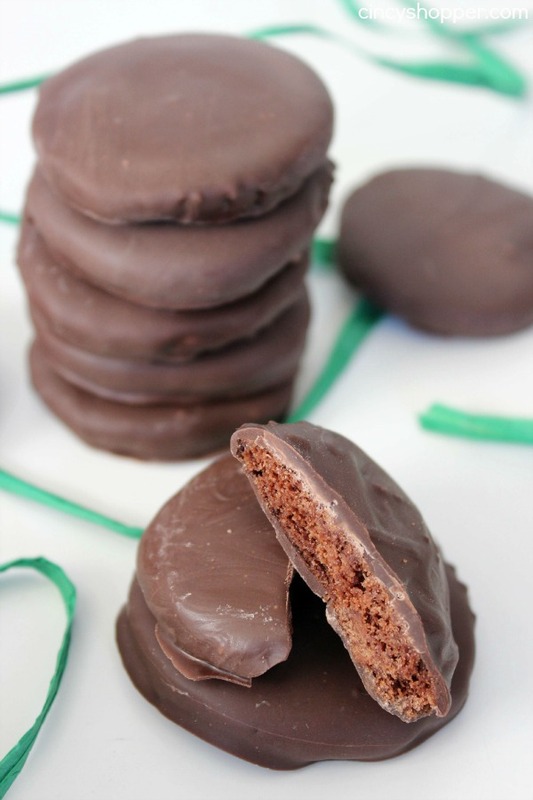 I held off sharing this CopyCat Girl Scout Recipe because I knew these would be perfect to share with you now that St. Patrick’s Day is just around the corner. My family likes to enjoy mint and green food during St. Patty’s. 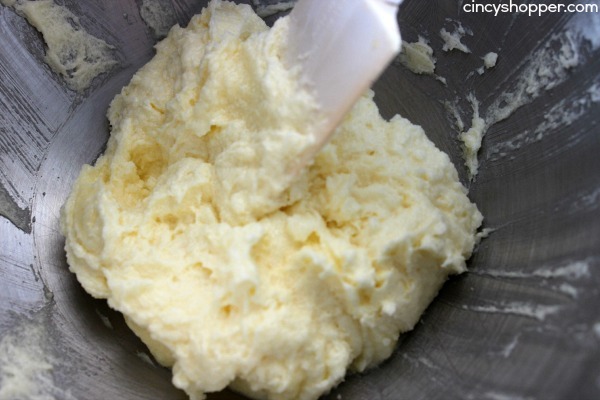 I will have to say that no recipe has topped our No Churn Mint Chocolate Chip Ice Cream. 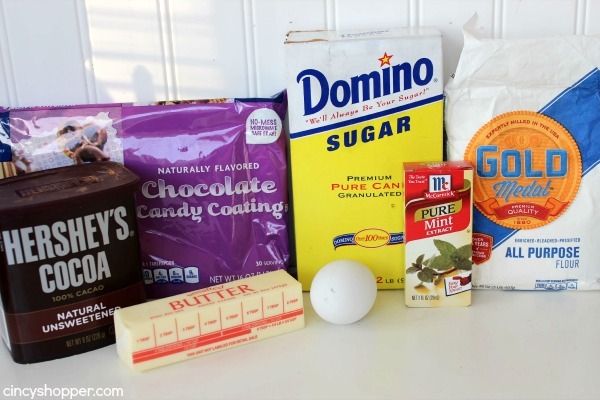 I can take a poll through the whole house and it is everyone’s favorite recipe this month. 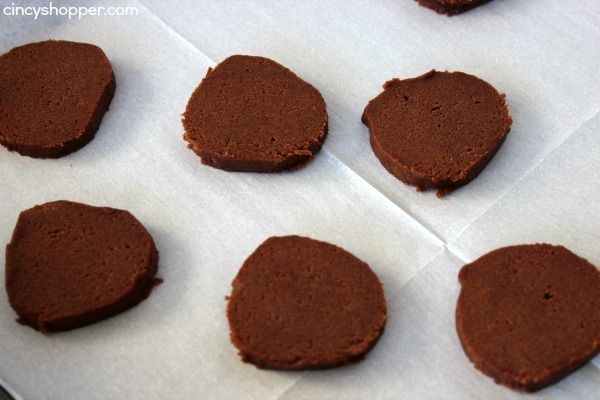 That was up until last evening when I grabbed my stash of CopyCat Girl Scout Thin Mint Cookies from the freezer. I combined these awesome cookies with the Mint Chocolate Chip Ice Cream and made Thin Mint Sundaes for everyone. The combo of the cookies and ice cream was perfect. I even added some whipped topping and a cherry on top. 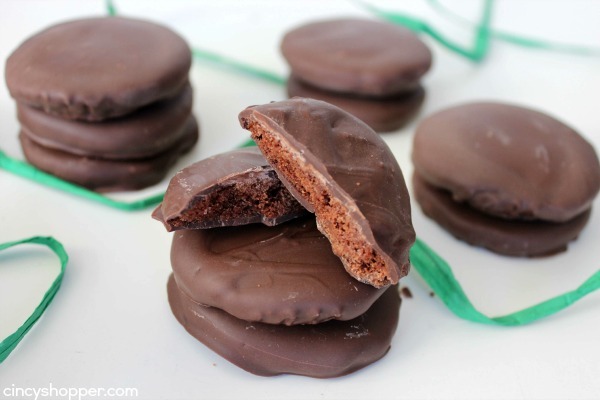 The ingredients needed for you to make these CopyCat Girl Scout Thin Mint Cookies is not as much as you think. Just a few ingredients and a little bit of time for prep is all that is needed. 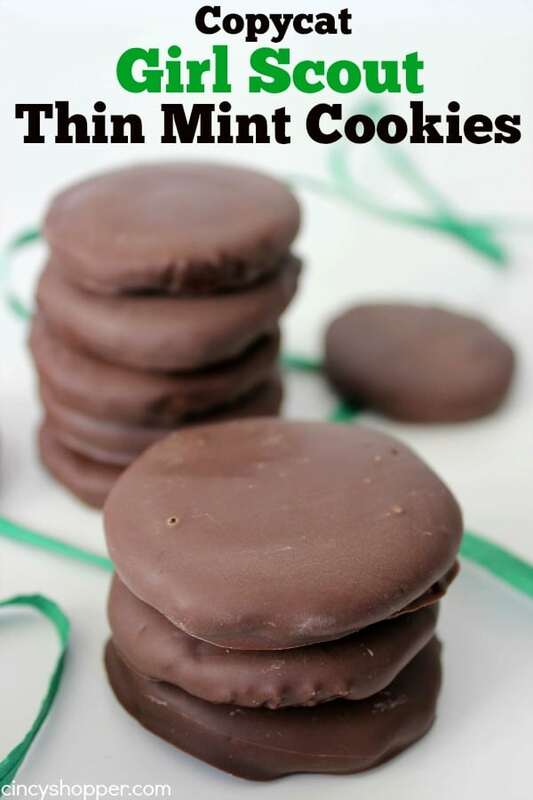 You will find the same crispy texture and perfect blend of chocolate and mint in these cookies that you find with the Girl Scout version. Absolutely perfect! 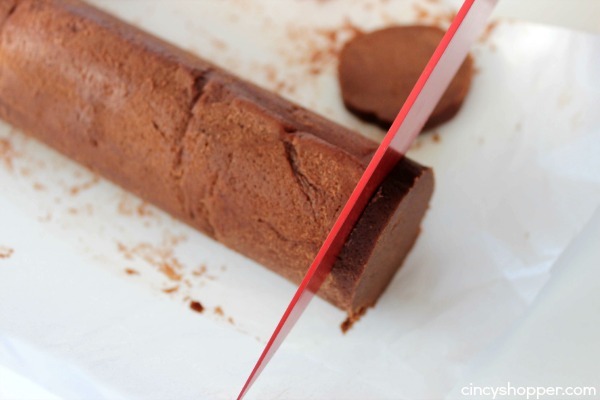 Shape dough into a 1 1/2" - 2" round cylynder and wrap in wax or parchment paper.